A special, in memoriam edition of Photographers in Focus, our tribute to the wildlife photographers who further inspire our passion for bird rehabilitation. Good photographs depict a story or event in one frame, often with no words, just visual inspiration. Capturing the feeling and emotion of an event in a timeless photograph is truly an art form, accomplished by an artist toting a camera. Over the years, many famous photographers have captured International Bird Rescue’s work in brilliant form. One of these was Jon Hrusa who recently passed away after 25 years of telling stories through imagery. 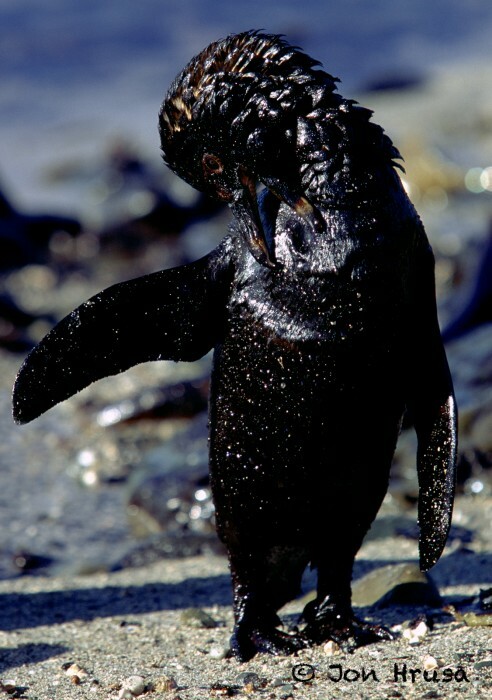 We met Jon in 2000 when International Bird Rescue was mobilized by IFAW for a collaborative response to the Treasure oil spill in Cape Town, South Africa. We had about 20,000 oiled penguins in care and it was impossible for us to capture all of our work on film — we were just too busy. 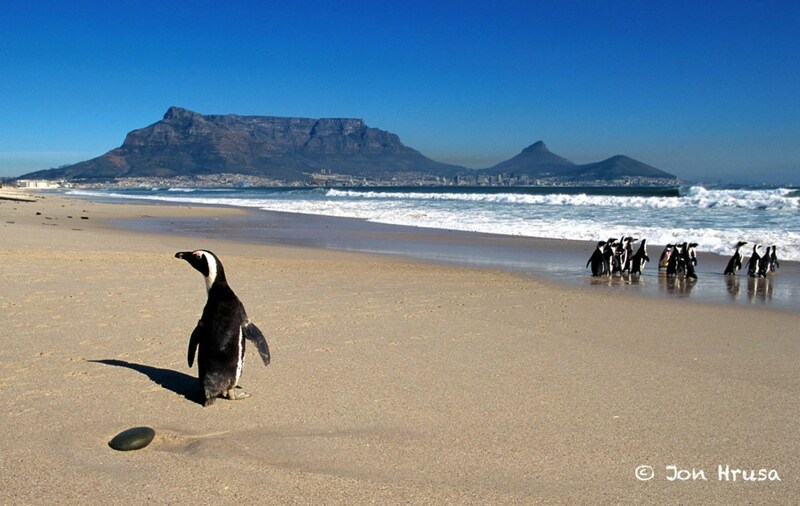 IFAW brought Jon in to take photographs that would eventually grace the pages of a book entitled SPILL: The story of the world’s worst coastal bird disaster. 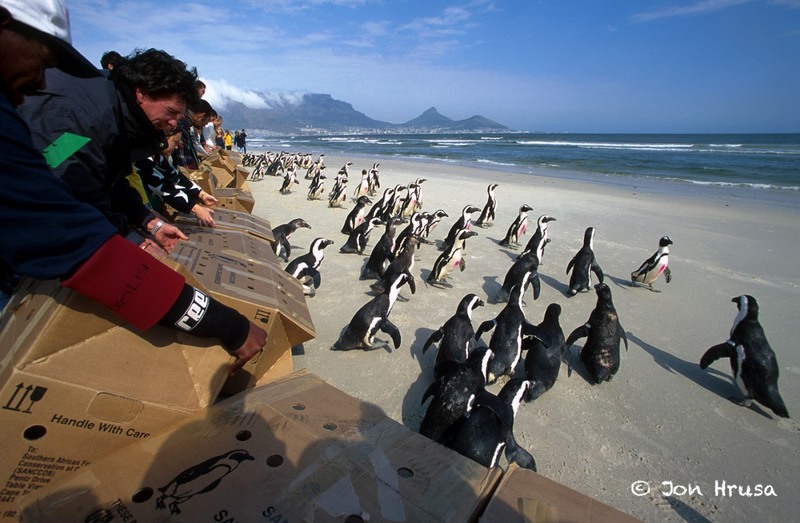 Jon’s photographs truly captured the unique aspects of this historic event, during which we were able to release about 95% of the birds, back into the wild — an effort that helped save the African Penguin population from the risk of extinction. Jon Hrusa will be sorely missed. This entry was posted on Sunday, January 8th, 2012 at 9:30 am and is filed under Photographers in Focus. You can follow any responses to this entry through the RSS 2.0 feed. You can skip to the end and leave a response. Pinging is currently not allowed.